Night Watchman Dotson was killed when he interrupted a burglary in progress. Night Watchman Dotson was performing his rounds when he found someone crouched in the doorway of the Hassayampa drug store. He assumed it was a drunk and ordered the man to step out. In response, three shots rang out. Watchman Dotson was able to return fire and tell a witness what happened and that the suspect was staying in a local hotel before he died. The suspect was hiding in a bus and jumped the driver when he was making sure everyone had gotten off. The driver was able to knock him unconscious and he was taken into custody. Dotson had hit him twice in the leg and once in the arm. He was later convicted and sentenced to life. 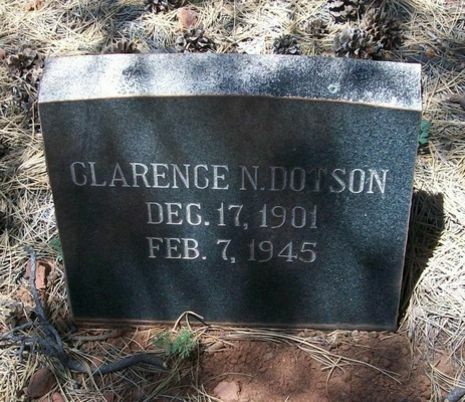 Watchman Dotson had served with the agency for only 9 months. He was survived by his wife. Thank you for your service and instilling values in your family. My regret is not getting to meet you.